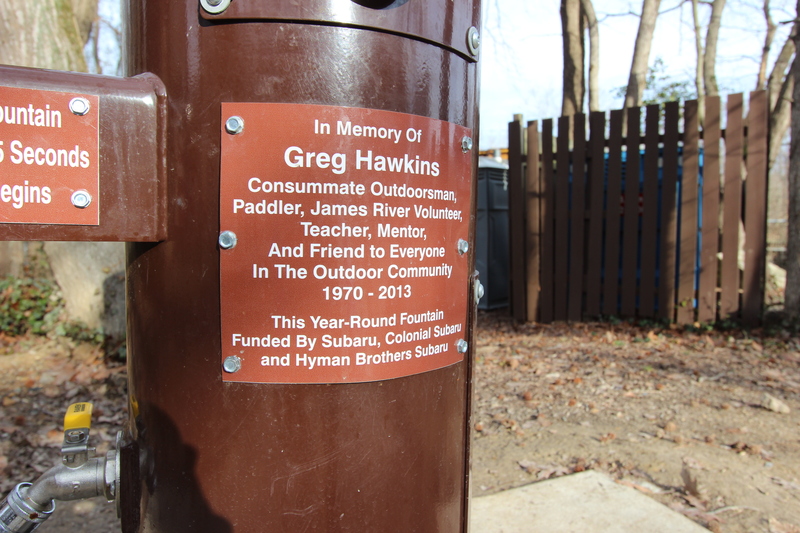 RICHMOND, VA – Subaru of America, in conjunction with Richmond-based dealerships Colonial Subaru and Hyman Brothers Subaru, partnered with Dominion Energy Riverrock and the James River Park System (JRPS) to raise funds to construct and unveil a new year-round water fountain at JRPS’ Reedy Creek trailhead location. The new fountain, now open for public use, replaces the previous half-year fountain at Reedy Creek that was shut down each winter. 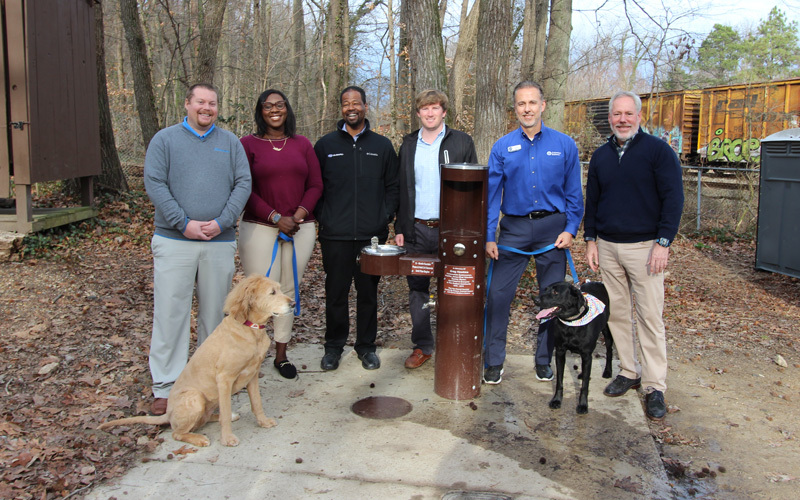 JRPS now has three year-round fountains within the park system, and, like the other two existing year-round fountains, the new Reedy Creek fountain is also pet friendly. During the 2018 Dominion Energy Riverrock festival, Subaru encouraged attendees to fill out questionnaires in the vendor village area. For each questionnaire submitted, Subaru made a donation to the Reedy Creek water fountain project to help fund the installation. Reedy Creek is one of the most popular and heavily-used trailheads of the James River Park System and multiple Dominion Energy Riverrock trail running and mountain biking events pass through the area, in addition to the use it receives from park visitors throughout the year. Dominion Energy Riverrock, taking place May 17-19, 2019, is the nation’s premier outdoor sports and lifestyle festival and aims to build a strong appreciation for the value of outdoor recreation and active living on the James River and throughout the Richmond region. JRPS receives over two million visitors a year, and its 14 locations include over 550 acres and 22 miles of trails open to both bikes and foot traffic and ranging in difficulty from easy to advanced. 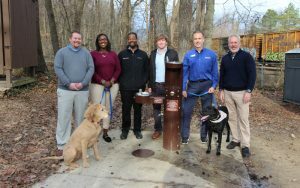 The new year-round water fountain is now open at Reedy Creek, which is accessible from Riverside Drive as well as the main entrance to Forest Hill Park at New Kent Avenue and 42nd Street.